Gat Leedm has the experience, equipment and facilities to handle all of your logistic needs in the Northwest. Gat Leedm’s 4,000 square foot fully bonded warehouse in Prince Rupert offers many advantages to importers and exporters. With seven bay doors and level access, our warehouse can be a key component of meeting your logistic needs. 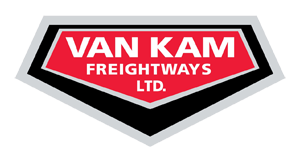 Acting as agents for Van Kam and Clark Freightways, we provide Truck Load Shipping services to Prince Rupert Area including ships to port. Our fleet includes two 5-tonne refrigerated vans. Located in Prince Rupert, home of Fairview Container Terminal, Gat Leedm offers a fully bonded warehouse that can facilitate in-transit and domestic transloading seven days a week. And as agents for Van Kam Freightways and Clark Freightways, Gat Leedm can provide local truckload shipping to the Prince Rupert area and to deep sea ships at port seven days a week. Having de-stuffed and re-stuffed more than 9,000 containers at Prince Rupert’s first CBSA container examination facility, Gat Leedm has the knowledge needed to ensure your freight is handled in the most professional way possible. But the services offered by Gat Leedm go beyond transloading and freight forwarding. Our fleet includes 15 units in the Prince Rupert area and, as an agent for Ocean Trailer Rentals, we have access to more than 2,000 chassis and over 6,000 various decks, trailers, side dumps and more. We also offer a 24/7 fuel transloading service from out trucks to CN locomotives and are always looking for new ways to expand our service offerings. Gat Leedm has the knowledge needed to ensure your freight is handled in the most professional way possible. Gat Leedm has delivered, de-stuffed and re-stuffed more than 9,000 containers to date. We have 15 tractor units in the Prince Rupert area and, as an agent for Ocean Trailer Rental we have access to more than 2,000 chassis and over 6,000 various decks, trailers, side dumps and more. We have a 24/7 fuel transloading service from our trucks to CN locomotives and are always looking for new ways to expand our service offerings.